Playworld Preferred offers a wide variety of site furnishings including picnic tables, benches, trash receptacles, bicycle racks, grills, and signs. 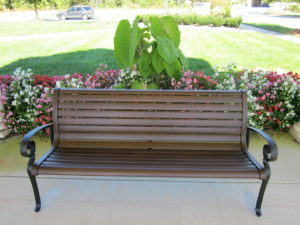 Our site amenities enhance your space to get the most out of your play area and provide a place to sit and relax. Many of the site amenities are available for customization to make your products unique. Check out our products to determine which items will best complement and complete your playground!